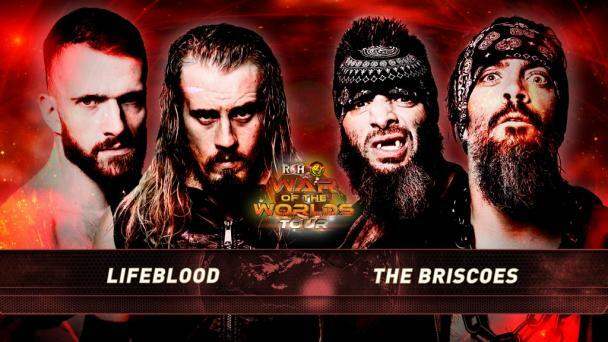 With an influx of blue-chip free agents joining Ring of Honor’s talented roster, the future has never looked brighter for ROH as it returns to the Sunshine State for Bound By Honor in Lakeland. 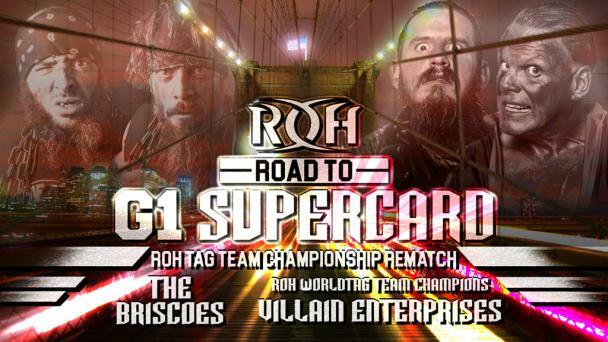 Your favorite stars will be in action in Lakeland on Feb. 9 for an international television taping, jockeying for position as ROH heads toward 17th Anniversary in Las Vegas, the final stop on the Road to G1 Supercard in Baltimore, and finally, G1 Supercard at Madison Square Garden in New York City. 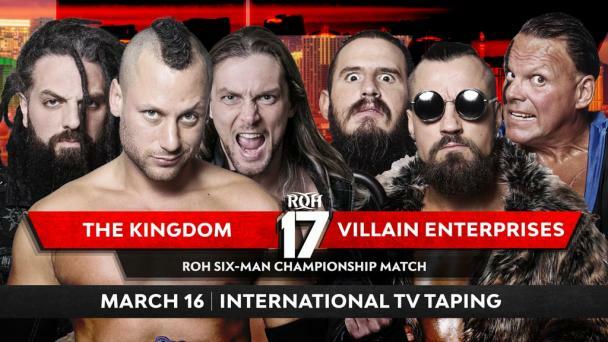 A huge ROH World Six-Man Tag Team Title Match pitting champions The Kingdom (Matt Taven, TK O’Ryan and Vinny Marseglia) against Villain Enterprises (“The Villain” Marty Scurll, PCO and Brody King) has just been signed for Lakeland. 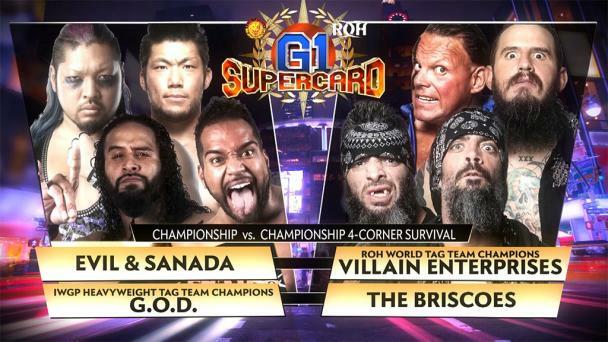 The Kingdom thought they had Scurll right where they wanted him during an international television taping last month: alone in the center of the ring, without a single friend to help him. 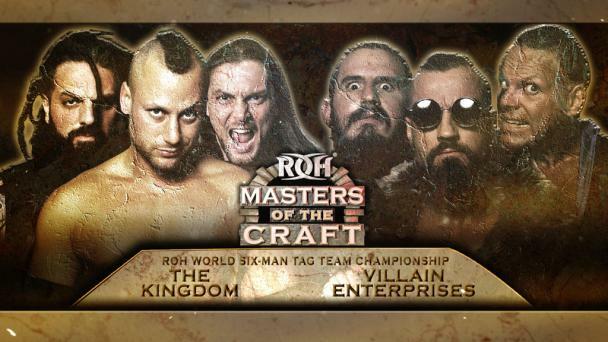 As The Kingdom prepared to pounce on him, Scurll delivered a message to Taven, O’Ryan and Marseglia. “You are right, my friends have left me,” Scurll said. “But it doesn’t mean I can’t make new ones.” That’s when Scurll revealed PCO and Brody King as members of Villain Enterprises. A brawl ensued and The Kingdom made a hasty retreat. 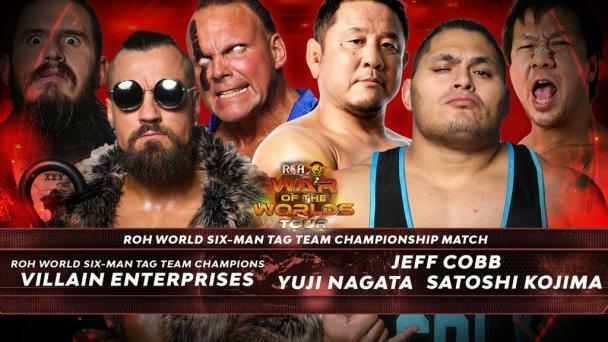 Villain Enterprises was scheduled to face The Kingdom for the ROH World Six-Man Tag Team Titles on the most recent episode of “Ring of Honor Wrestling,” but Taven came out before the match and said that they didn’t deserve a title shot because they hadn’t even had one match as a team yet. He said they needed to prove themselves, so he arranged for them to face Shinobi Shadow Squad (Cheeseburger, Eli Isom and Ryan Nova). 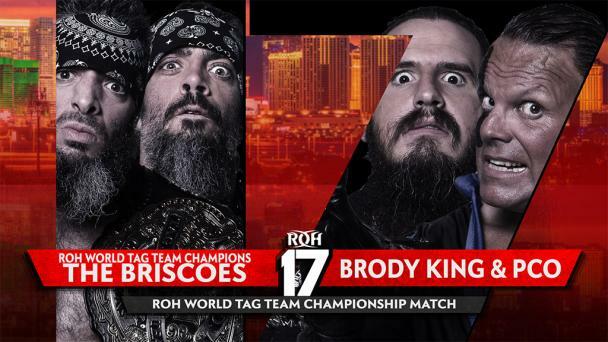 Villain Enterprises beat 3S and then went on to defeat ROH World Tag Team Champions Jay and Mark Briscoe and Silas Young at Honor Reigns Supreme. The ROH Board of Directors was impressed and booked the title match between Villain Enterprises and The Kingdom for Lakeland. Will Villain Enterprises conquer The Kingdom? 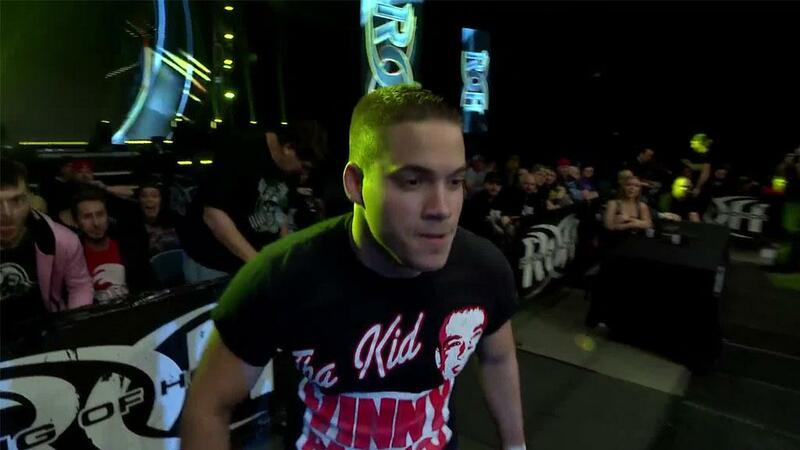 Or will The Kingdom hand Villain Enterprises their first loss? Join us LIVE in Lakeland to find out!